In previous post, we talked about the core skills needed to become a UI/UX designer, which includes user research, wireframing, visual design, prototyping, basic coding, metric and analytics & writing. In Part 2 today, we are going to take a look at some personal attributes of a UI/UX designer. As a UI/UX designer, your responsibility extends more than just pushing pixels behind your screen. The UI/UX discipline encompasses many umbrellas and you could be looking at fields such as human-computer interaction (HCI), usability, visual design, information architecture, interaction design and maybe in the future, more towards conversational design — especially the rise of chatbots and AI. Furthermore, a good UI/UX designer need to also be able to look not only at users’ perspectives, but also from a business’ end goal(s). It’s a wonderful time to be alive. Personal attributes — as opposed to core skills — while might seem secondary, they could elevate yourself and your skills as a UI/UX designer, what’s with more and more companies been hiring waves of designers. They can help designers in large aspects of their work, from satisfying users, working with team members and dealing with stakeholders. These attributes can be learned, developed, encouraged and sharpened — provided you are up for them. Realising empathy Four inter-related yet distinct processes that has to work together to make this process possible. By Seung Chan Lim. 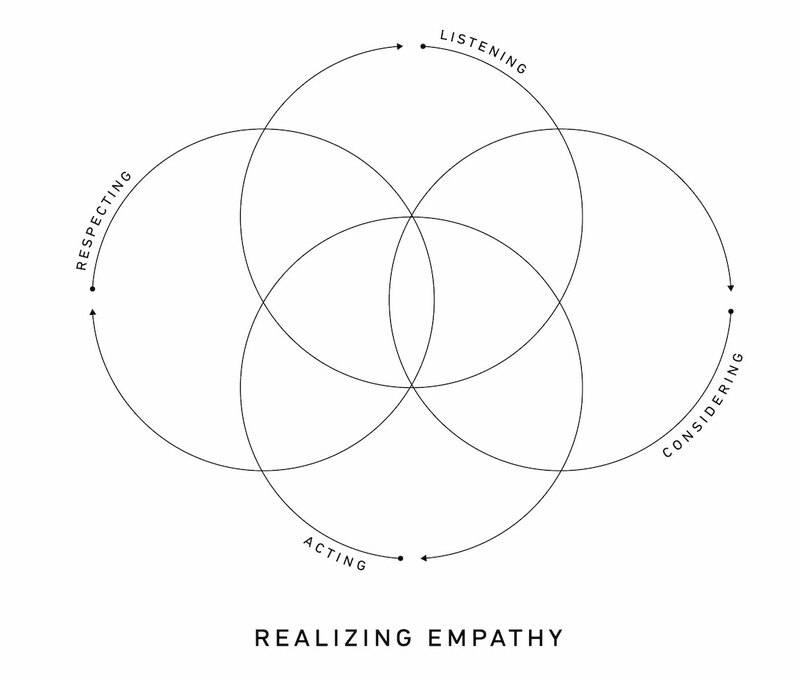 Empathy is more than just a buzzword floating around. Empathy is described as the ability to understand and share feelings of another person — in other words, being able to put yourselves in other people’s shoes, thus being able to understand their feelings, motivations, limitations, biases and many others. As a UI/UX designer, you need to be able to develop a sense of empathy to get very far in your career, as you need to be able to understand your users, your clients as well as being able to work with your teammates. Having a sense of empathy will lead to an improvement in a lot of areas. The book Design Collaboration for the Enterprise mentions that by having empathy, you can also improve collaboration. Seung Chan Lim wrote a wonderful article on a thoughtful examination of empathy in life and in the context of design. If you want to learn to become more empathetic, here are eight tips to do so. Connecting the dots The stage of critical thinking, from data accumulation all the way till wisdom formation. Photo from Gapingvoid. The best designers are often thinking. More than just that, they know how to think effectively. We now live among unprecedented abundance of information. The Internet offers us more than we could ever consume and shops offer us more choices than we could ever process. This information glut, coupled with our fast-paced lifestyle, contributes to our inability to filter information effectively, leading to lack of value in the work that we present ourselves in — because we tend to include everything in! While this skill takes time to develop, there are some small steps you can take to sharpen it. For example, you may start to distinguish between user complaints or feedback during UX testing. 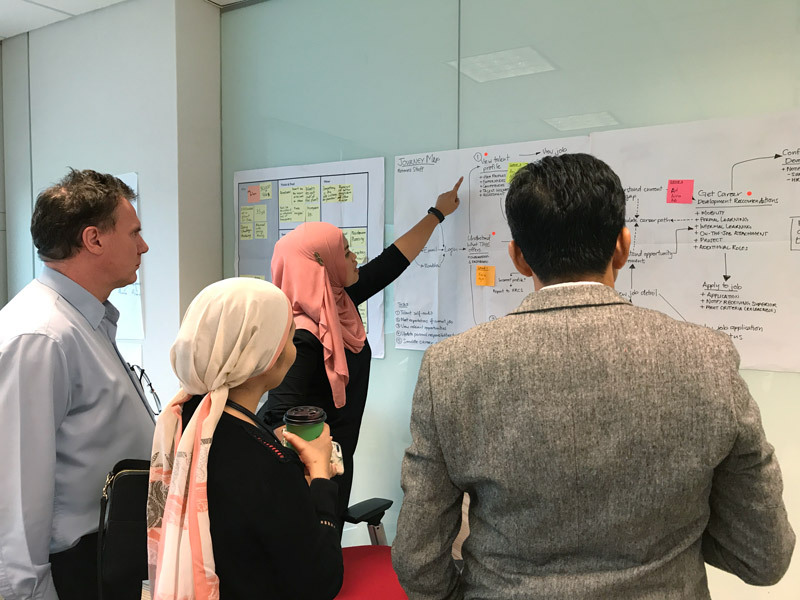 During initial project briefing, start making small notes about the nature of the project, and why it would be different from the previous or current ones you are working on. For example, if the new project would require a new interface for a ridesharing app, you may start to think of why the UX would be different from the UX for a recipe sharing app you are currently working on. Critical thinking is more than just filtering information. Two more subskills of critical thinking you could start to practice are being perceptive and having an eye for details. Technically, if you begin to start questioning “why?” to a lot of things, it is a good start. While surfing the web, you may also start to question why a certain website behaves the way it does, and how they do it. You can start by noticing microinteractions and compiling them, as the folks at Little Big Details do. Lynda has a good short, one-hour course for critical thinking you could start on. There is no prescribed path to becoming a good UI/UX designer. Some people we know do have the qualifications for them, some don’t — but what sets them apart is their willingness to always learn and improve themselves. The industry is constantly evolving and revolutionising. What’s good is that with Internet at the tip of our fingers these days, it is very easy to keep up with the trends. One tip we often tell budding designers is just a one word mantra: read. There are many books out there offering UI/UX lessons from basic, technical all the way to the psychology of users. The only thing you have to do is keep looking. The initial section was to be called ‘passion’ — but I changed my mind. Very often we emphasise on the importance on passion for us to pursue what we want, without realising that like supernova, passion burns brightly and full of energy, only to burst and fade slowly. If you are a new UI/UX designer, there will be many occasions where the learning curve might get too steep you feel like quitting. Having the patience to know that any worthy skills take time to master will keep you grounded and put you back on track on your endeavour to become an excellent UI/UX designer. Having the patience will also help you to be more grounded. In return, you will be more open to learn more (hunger for knowledge), understand others (empathy) and being able to fill in the gaps (perceptive) while constructing your solutions (critical thinking). Don’t forget to also check out: So You Wanna Be a UI/UX Designer: Part 1 – Core Skills. In her free time when she's not sweet-talking clients & breathing down her team members' necks, she trains her cat Monty to do backflips. Check out Zana's musings or follow her daily findings on Twitter. Curious about UX? We got you. Join our list and receive latest trends in user experience, content strategy, user interface news and many more. Stampede Weekly is a newsletter of only the best and specifically curated content for you, published every other week.